HIGH The old man on the pier. LOW A rather generic final boss. WTF The settings menu has a… vegan option? If limitation breeds innovation, Minit feels like a self-imposed challenge by its developers. Here’s what a game can be with only two colors, two buttons, and a 60-second frame in which players are permitted to do anything. It’s one of the purest arguments for “less is more” that I’ve seen in recent memory. 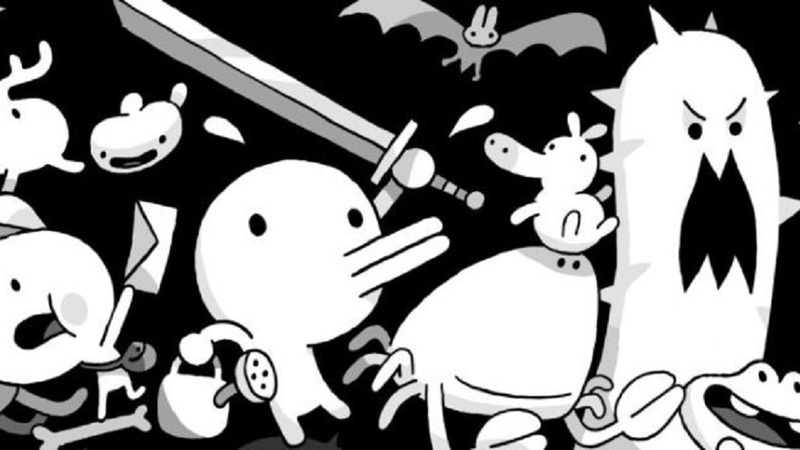 The main character of Minit – an orb with a beak, because that’s all the detail the visual style affords – finds a sword that curses him to restart his adventure every minute, so players have exactly that much time to make progress before they’re yanked back to the starting point and forced to begin anew. That this gimmick works even remotely well is a herculean feat, as it requires everything in Minit to be whittled down to its simplest, most succinct form. Environments must be easy enough to read that players don’t waste valuable time figuring out what they’re able to interact with, and how. Characters must communicate important information in as few words as possible. The world must be compact enough that players actually have time to reach any location in it. The controls must be basic, and the moveset needs be uniform. Minit looks and plays like it could have been released on the original Game Boy, and that’s the only circumstance in which a concept like this could work. However, it’s not a full-on Groundhog Day scenario. Enemies respawn and puzzles reset, but players permanently keep any items that they obtain, and the general state of the world carries over from one attempt to the next – if an NPC is rescued, for example, he stays rescued for the remainder of the campaign. 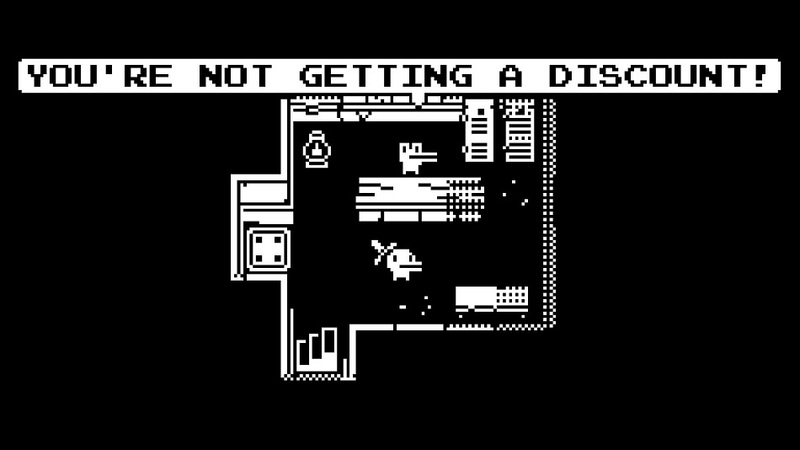 The structure of the game is relatively routine, with players’ ever-expanding arsenals granting them access to farther reaches of Minit’s world. We get our hands on a stronger sword, and suddenly we can chop through any plants that are blocking important routes. We find a pair of flippers, and now bodies of water don’t halt our progress. If the 60-second time limit didn’t exist, this would be the shortest and easiest Zelda game ever made – by necessity, the puzzles and fetch quests are all simple enough that they can be completed in a matter of moments. However, the time-loop mechanic turns seemingly mundane tasks into moments of fist-pumping bravado since everything is a speedrun. The final boss is the only aspect of Minit that betrays its sensibilities – it’s an over-elaborate bullet hell-style fight, and the devs compensate for this by not erasing players’ progress whenever they die or run out of time, essentially providing unlimited continues. It’s not a frustrating battle, but it’s a surprisingly uninspired note to end such a clever little game on. Disclosures: This game is developed by Jan Willem Nijman, Kitty Calis, Jukio Kallio, and Dominik Johann and published by Devolver Digital. It is currently available on PlayStation 4, Xbox One and PC. This copy of the game was obtained via publisher and reviewed on the PlayStation 4. Approximately two hours of play were devoted to the single-player mode, and the game was completed. There are no multiplayer modes. Parents: According to the ESRB, this game is rated Everyone and contains Mild Fantasy Violence. There’s absolutely nothing to be concerned about here. Deaf & Hard of Hearing Gamers: All dialog is text-based, and sound cues never play a vital role. It’s fully accessible. Remappable Controls: The two commands, “action” and “retry,” can be remapped, though movement controls can’t. Colorblind Modes: There are no colorblind modes available in the options. Note that the game is presented exclusively in stark black-and-white.